The newly established Brunello and Federica Cucinelli Foundation intends to undertake practical action in order to promote and foster the aims and ideals which, over the years, have developed and driven the humanist dream originating in Solomeo. By recognising the value of the links between a person’s birthplace, life and activities, the Brunello and Federica Cucinelli Foundation intends to act directly to strengthen human values, i.e. human relationships and the various activities which are part of our society. We support any methods which translate this desire into action, welcoming and promoting them enthusiastically. Thanks to our experience, we have developed a conviction that all human activities are forms of culture which deserve to be recognised. 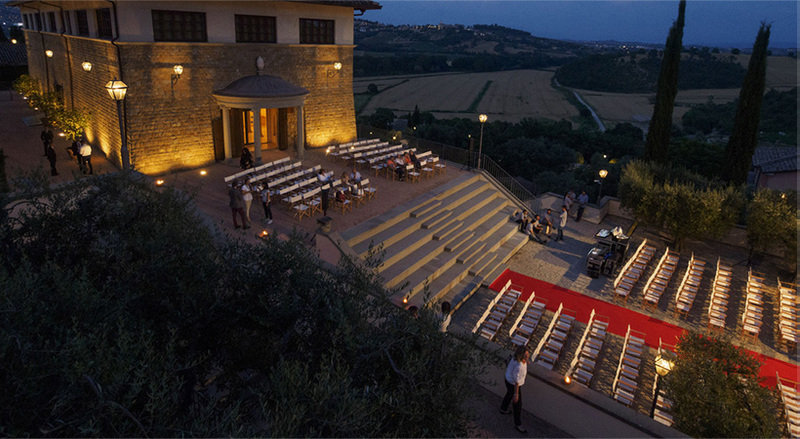 Thus, art- in all its various manifestations including figurative, conceptual, musical, theatrical and so on- is one of the main focusses of the Brunello and Federica Cucinelli Foundation. In equal measure, we would like to foster the study of and quest for a modern form of humanism rooted in craftsmanship, which restores spiritual values by promoting the authenticity of daily activities including work, family and leisure. Sport is another, and no less important, major interest for the Brunello and Federica Cucinelli Foundation: in fact, we consider it to be one of the keystones of society. The intention of the Foundation is not to reinvent the sporting world, but to promote and endorse amateur sports as an alternative to competitive sports. We believe that all contribution made by men and women to these ideals are enriching additions which perfectly reflect the cultural identity of the Brunello and Federica Cucinelli Foundation. From its beginnings, the Foundation intends to act humbly and coherently, in the hope that over the course of time we can become a worthy actor in the advancement of Umbrian and Italian culture at global level, and diligently further our national traditions.